Weekend Events: Armageddon & Arts on Sunday! Tim Jones Guest Post Re-Posted on io9! 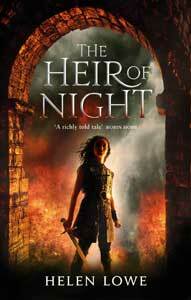 “The Heir of Night” Grand Giveaway Draw Announced! Well, We Did It—We Painted AU/NZ Red for “The Heir of Night”! “The Heir of Night” Launched in Australia/New Zealand Today—& I’m Celebratin’!